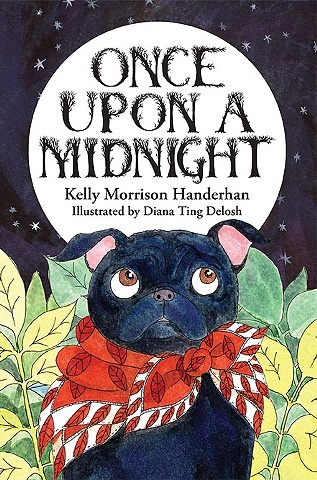 Once Upon a Midnight, Paperback picture book. Story by Kelly Morrison Handerhan with full spread, ink and watercolor illustrations by Diana Ting Delosh. Tells the tale of Andy the Pug one dark and cold and rather creepy night as he investigates the source of some howling with comical results.